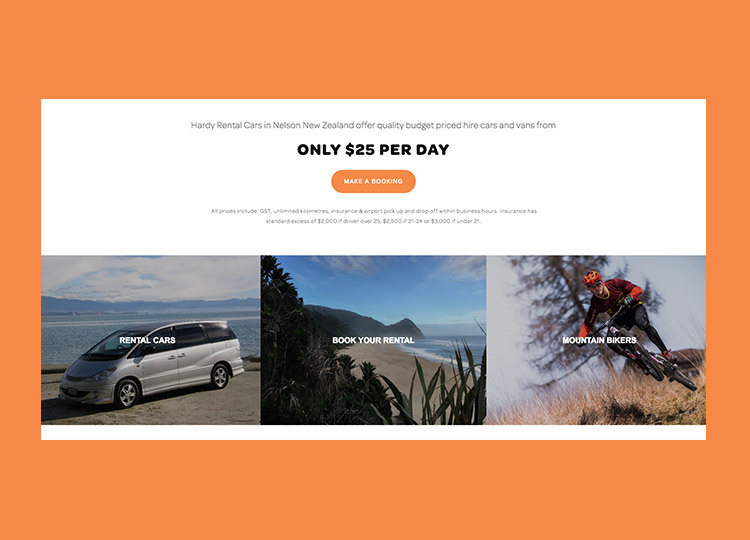 Hardy Cars are a Nelson company offering a range of rental vehicles from budget rental cars to 4WD utes. They are the only local company offering mountain biker specific vehicle rentals for the increasing number of mountain biking tourists visiting Nelson. It was fantastic to work with a customer focused business who want to make their customers trips as easy as possible. We built a responsive Squarespace website that works well across all devices for people on the move. It features a custom booking form with rental pricing that can be easily changed by the business owner. The website has been well received with an increase in rental bookings since launch.